City Connect » Culture & Lifestyle » ‘Calories in, Calories out’: A Weight Loss Myth or the Truth? ‘Calories in, Calories out’: A Weight Loss Myth or the Truth? Weight loss and obesity prevention have taken this generation by storm, and everyone wants to be fit! To achieve better weight statistics, people try exercise, dieting, proven anabolic medicines like MR Testosterone 500, green tea, and even bariatric surgery. 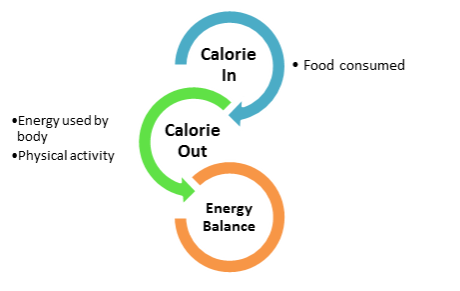 But, the World Health Organisation states that ‘the fundamental cause of obesity and overweight is an energy imbalance between calories consumed and calories expended.’ It means that our calorie balance determines our weight. Hence, calorie restriction is considered one of the major ways of losing weight, originating from the ‘calorie in, calorie out’ (CICO) concept. What Does the CICO Concept Mean? This concept arrived in the early 2000s, using Thermodynamics as a basis. A calorie is a unit of energy. With a calorie deficit, you are not providing enough energy to your body and will eventually lose weight. The concept was straightforward, and most programs use at least a part of this idea. So, what is the problem? Well, the obesity epidemic continues to grow! In a recent study by Global Health Action, researchers found that this concept is incomplete. It says simply that calorie restriction doesn’t help with weight loss. Is ‘a Calorie Is a Calorie’? Different foods provide different calorie contents. Proteins, fats, oils, and vegetables all have a different calorie makeup and metabolize distinctly in the gut. Plus, each person’s metabolism is varied. CICO doesn’t take this into effect completely. For example, consuming just 2000 calories per day of only carbohydrates without proteins would lead to a short spell of rapid loss of ‘fat free’ mass. Hence, you would accumulate fat, which would in turn cause poor health. Such assumptions may lead to inaccurate measurements on food product labels. Consuming foods based on these assumptions would create a poor diet. According to Nutrition Journal, it was found that CICO does not really comply with the rules of Thermodynamics. Considering that digestion is an irreversible process, some energy is always lost as heat and in other processes of metabolism, so it can’t be considered a simple equation. What about Hormones and Metabolism? Without considering the type of calorie consumed, imbalances in metabolism like insulin resistance can commonly cause more fat deposition and a low body metabolic rate. Processed foods seem to have low calories, but they cause more insulin resistance! Also, other problems like reduced testosterone hormone, less hemoglobin, fragile hair, weak bones and joints, and overall poor health are found. Restricting calories alone doesn’t help. The balance is not in calories but in the kind and amount of food, exercise, and hormones! Modified diet consumption, not just a calorie count! (Table 1). Regular exercise of at least one hour per day for three days a week goes a long way, even if it’s walking. Hormone balance. Make sure the food consumed doesn’t affect hormones in any way. Reducing stress: work to make your mind and body sound and happy. Do things you love! You are more than just calories.